Here I am again! Finally ! I am entirely aware of the fact that I haven’t written that much since the begin of 2014. The reason is that university is taking a lot of my time, especially during the exams period. I apologize for it but, I know that I publish posts in a irregular way ; this will unfortunately be like this until the end of my degree. On the other hand I shall do my best to write more and more. It’s time now to start a new one ! I am so excited to write again, you can’t even know how much I am ! 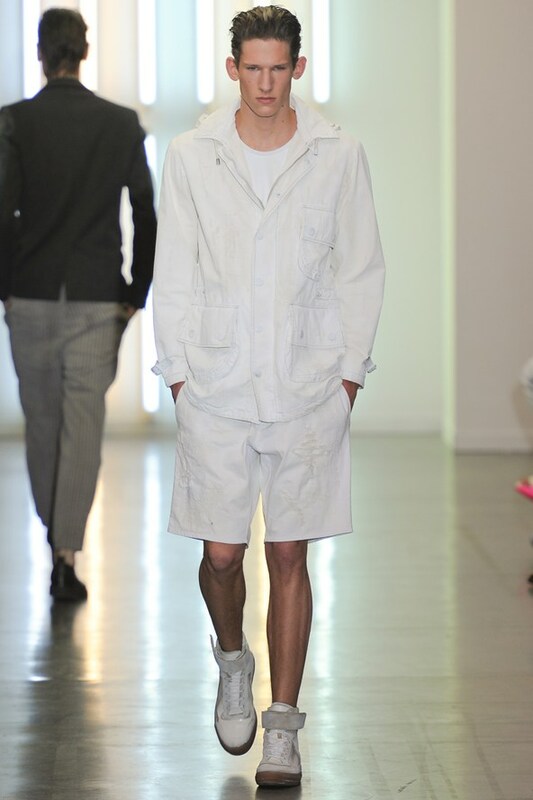 As I am supposed to write more posts for men, I selected some casual looks at four designers in their Spring/Summer 2014 collections. Those outfits are [or seem to be] really comfortable. It sounds as well that the one-coloured is going to rule this springtime. It is quite unusual for some of you, guys, who do not trust themselves “that“ much. Try once, dare it! You could be surprised and really like it! The first one [above] is from ALEXANDER WANG. Black is always a sure value, you can not go wrong wearing a “all in black” look. Promise. It can be boring for some of you but if you watch the collar and the patch pockets are in leather. They are details indeed but, make dynamic the uniformity of the whole. That’s subtle… which is cool. ICEBERG [on the left] prefers to play with light. 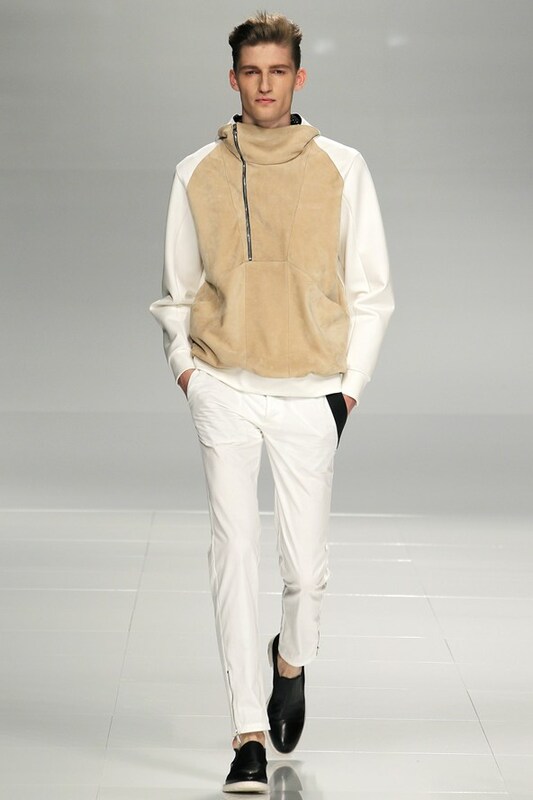 Mixing white and beige is a soft way to start spring 2014. It is fresh and elegant ; classic and modern. The cigarette pants reflect the distinguished side of the whole while the sweatshirt the casual one. Small detail on the pants : the black strip on the right pocket. 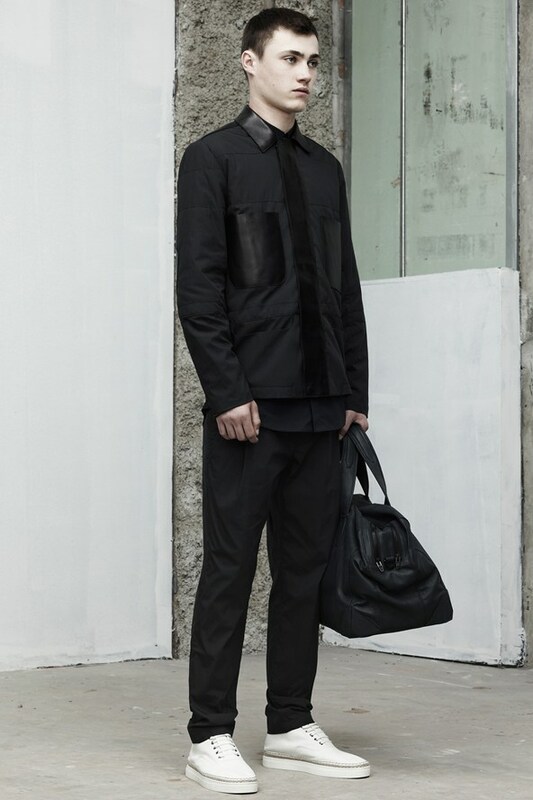 The dynamic is this time [in comparison to the ALEXANDER WANG universe] in the geometry and asymmetry. Choose black shoes to break the “all in white“ wise look. Just some free advice. 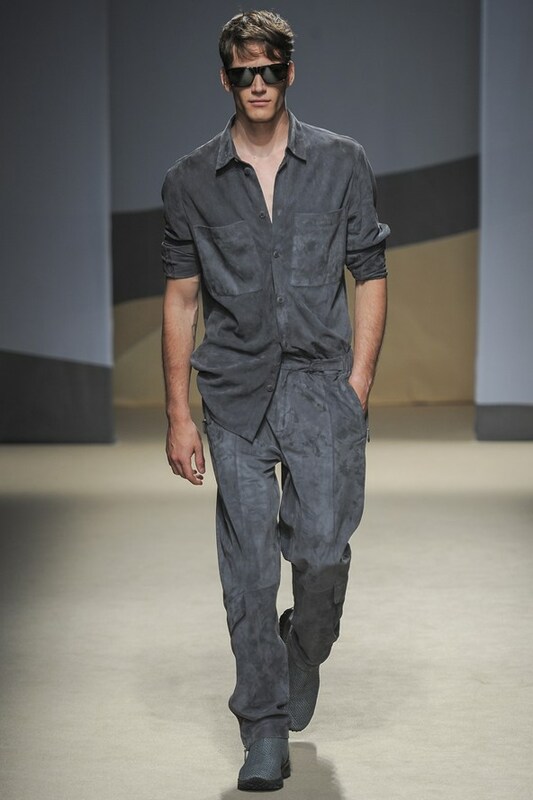 Last but not least, the next one [below] is a look from DIESEL BLACK GOLD. Like the previous ones, it confirms that the one-coloured will be the absolute “must-have“ of this season. It is so far the most relaxed outfit within the present selection ; everything is casual up to the shape itself. A fresh white/off-white mix is standing in for the usual blue jean shade, the brand’s signature. Note as well that the bermudas‘ length is the perfect one in the sense that it is not “too short“ as if you were going to the beach. It has to be elegant even if summer is coming soon. [Vulgarity is not “women only“] That is why it also important for you, guys, to choose the right size according to your morphology. It is obvious [or seems to be] that if you are not that tall wearing under-the-knees-length bermudas is not the right thing to do. Try to lengthen your silhouette and not to compress it. That’s it! 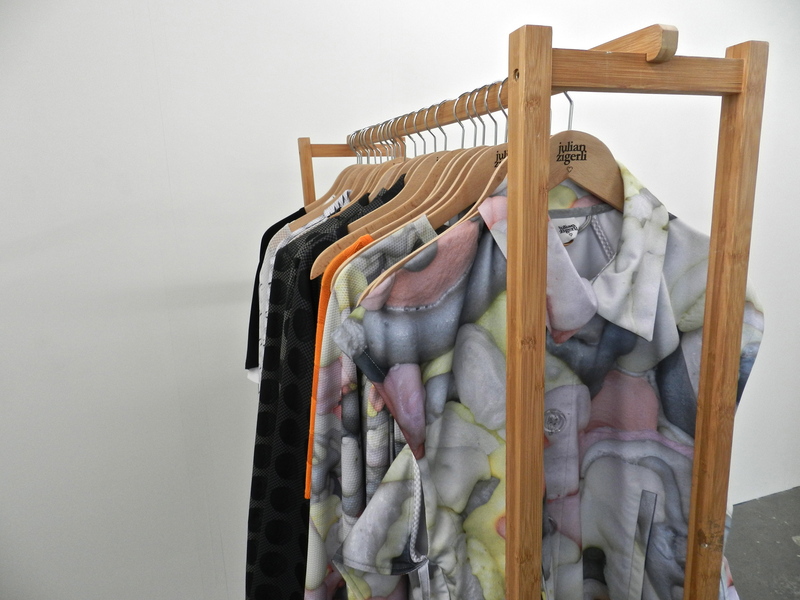 Start slowly but surely to think about your spring/summer 2014 wardrobe and be innovative. It does not mean that because you have to protect your masculinity [of course you do] you are not allowed to wear light colors or one-coloured outfits. Get dressed in this way is not necessarily “gay connoted“. And it is springtime, OK ? On the runway of Alexis Mabille Spring Summer 2013 Ready-to-wear Collection.